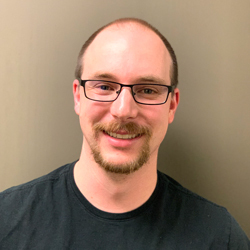 Brian started at Brooks Applied Labs in 2016 as a Metals Chemist in the Trace Metals Group, with 5 years of general lab experience and 2 years of analytical trace metals testing by ICP-MS experience. He graduated from California Polytechnic State University – San Luis Obispo (Cal Poly) in 2010 with a Bachelor of Science in Biochemistry. Currently, Brian works as the Trace Metals Group Lead. His tasks include: supervising the Trace Metals Group staff to ensure that all client samples are prepared and analyzed according to Brooks Applied Labs standard operating procedures, ensuring quality results and data are produced by the Trace Metals Group in a timely manner, sample analysis by ICP-MS, primary review of ICP-MS data, instrumental troubleshooting, and conducting R&D on select projects. When he is not in the lab, you can usually find him at the park with his dogs, riding his motorcycle, or spending time with his wife. He also enjoys hiking, backpacking, long road trips, and visiting friends and family in California.